We need a new cushion on our rocker. Color,design, and the nice looking fabric. Have had them before - my cat loves to sleep on them and they look lovely. I was looking for this blue color and also liked the fabric. 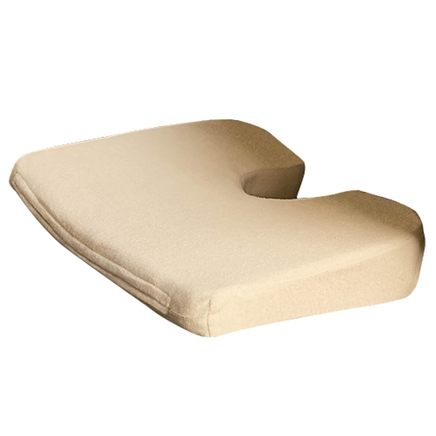 I hope this rocking chair pad fits my chair, have been looking for a while and all your recommendations from others who have purchased this have been 5 star, I am sure i will agree with them. 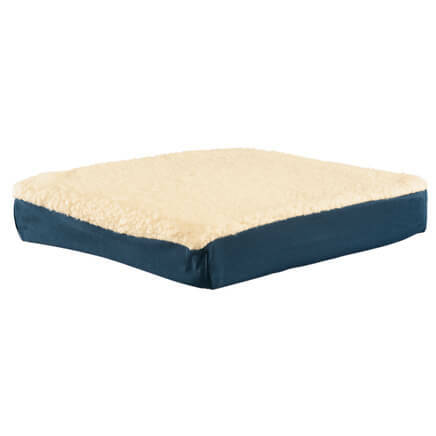 looks comfortable and the quality is great. Really liked it. I need a cushion set for my rocker and the reviews for this set were excellent. I'm ordering this for my mom but it not for a rocker, it is for a dining room chair that has a high back. She is currently in a rehab center recovering from surgery on her arm so I won't know for a few months whether this works for her. She has arthritis and bone cancer and she spends a lot of time in her dining room chair watching TV with my dad. Hope it works! American made, good reviews, attractive. 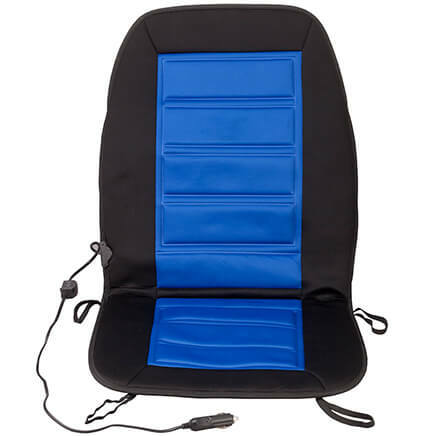 Looks like a good quality product and love that there is a gripper on the seat cushion. I need new cushions, these look nice for the price. We needed the cushion set for a rocking chair. Reviews were better than other types of cushions. Plus I've been looking for 2 years now, but haven't found a good price until today. needed to replace existing cushions. really liked the color choices and the plush thickness of these cushions. Needed seats for new rocking chairs. 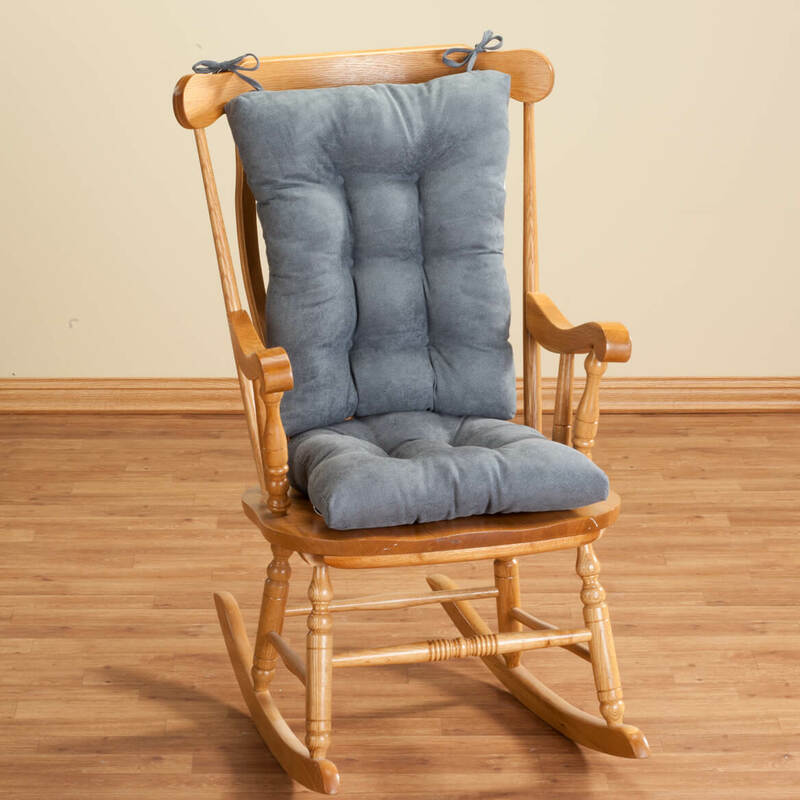 My mother gave me a rocking chair and I need a cushion for it. I like the thickness and the cloth. 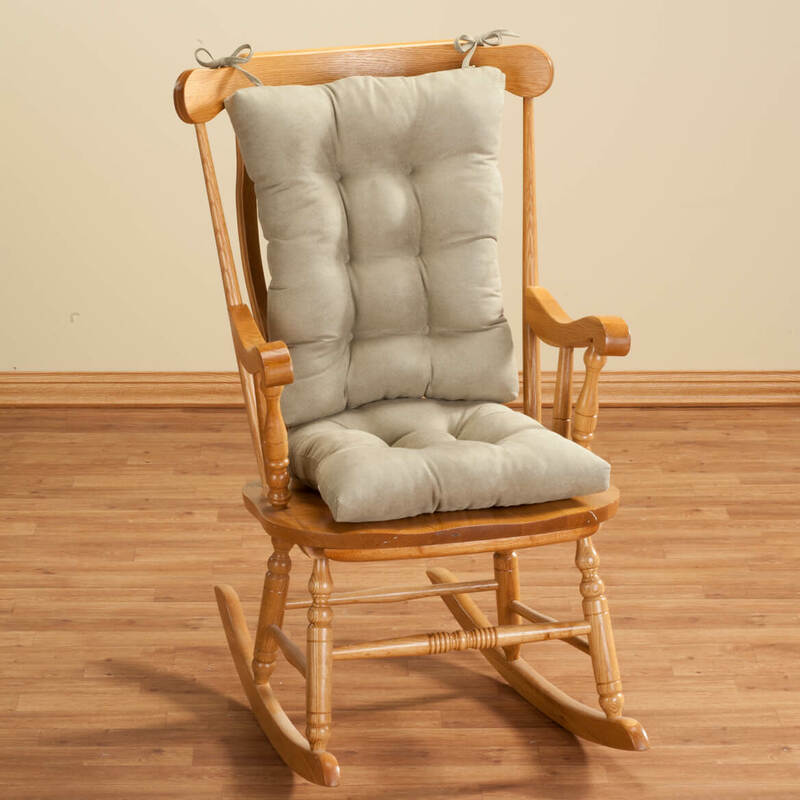 my rocker needs a larger size than average and I love the gripper bottom. 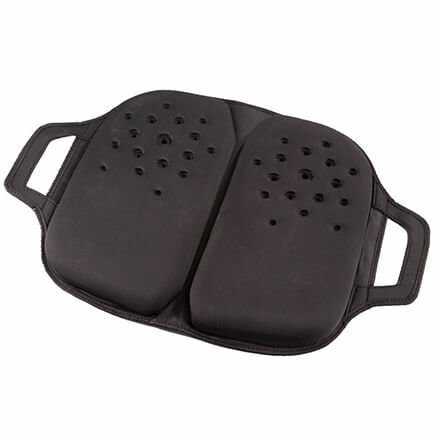 I needed something to support my back. This is a replacement set. This was rated so highly, I'm sure we'll be as pleased as all the others who ordered before us. 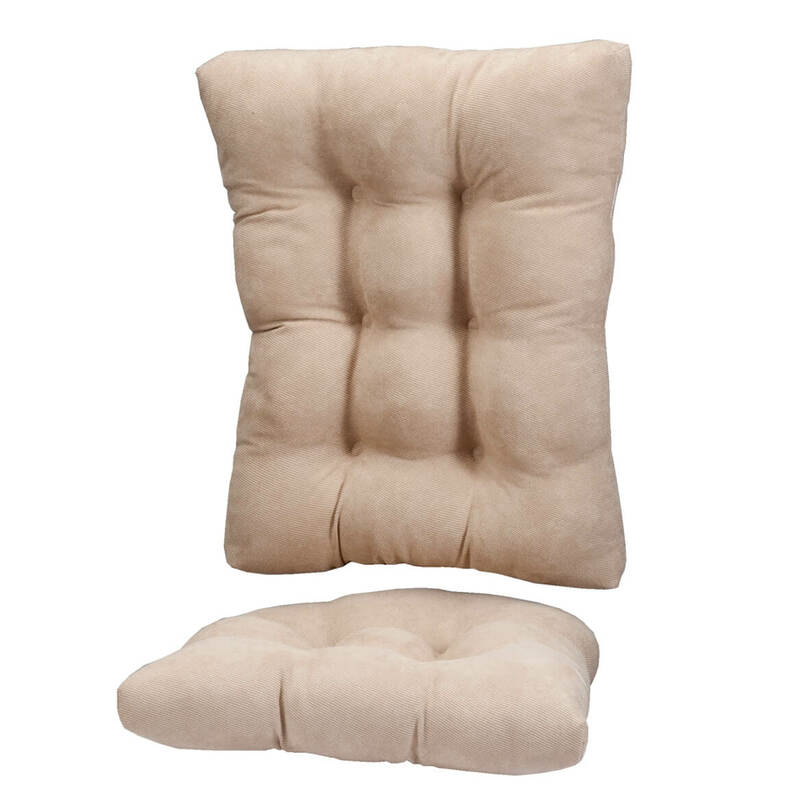 I needed to replace the old cushions I have on the rocker in my bedroom and these looked like nice ones. You cannot find cushions for rockers in the store. Because it has good reviews, I hope to be what I am looking for. I needed to replace the cushion and back on a recliner I bought used. I believe this will fit the glider. 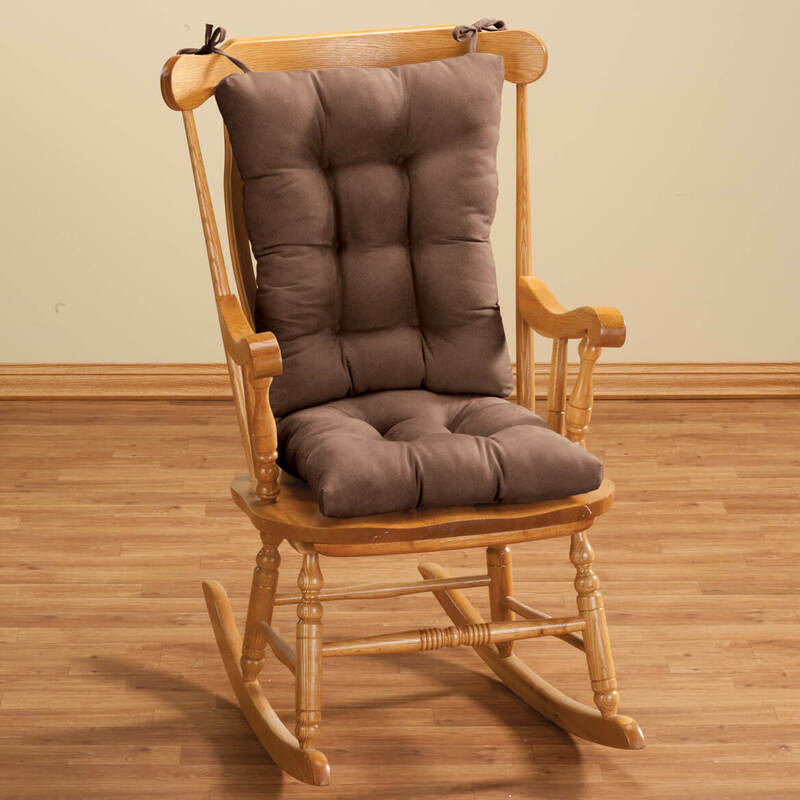 My mom's rocking chair needs a cushion that matches the room & will be comfortable. 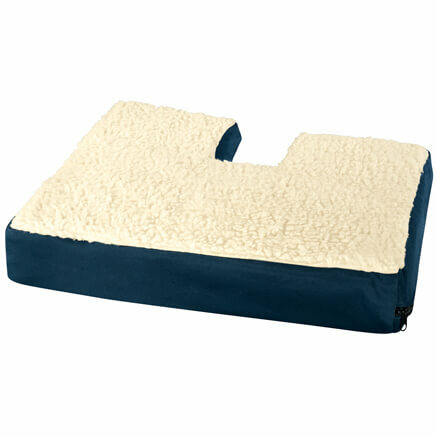 This product, unlike the others, had good reviews for appearance & quality. 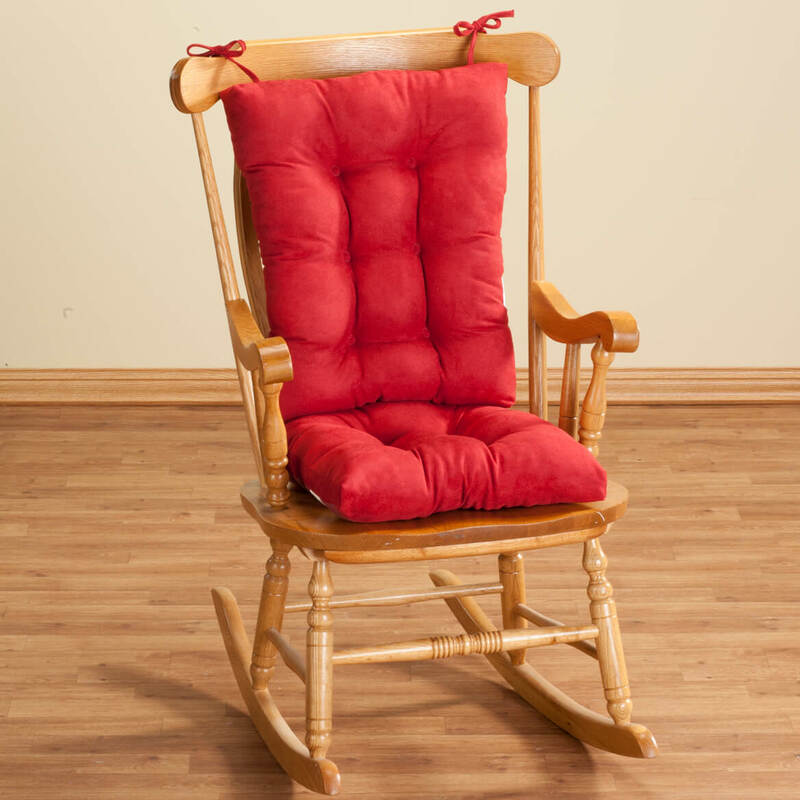 I've searched and searched for cushions large enough to fit my rocker/glider chair. I FINALLY FOUND THEM!! Do they come in shades of brown ? BEST ANSWER: Thank you for your question. We do carry a beige and dark brown.We hope this information will be of help to you. I bought the Oatmeal color one. Very much worth your money. Do you have an easy to clean fabric for your cushion sets? BEST ANSWER: Thank you for your question. 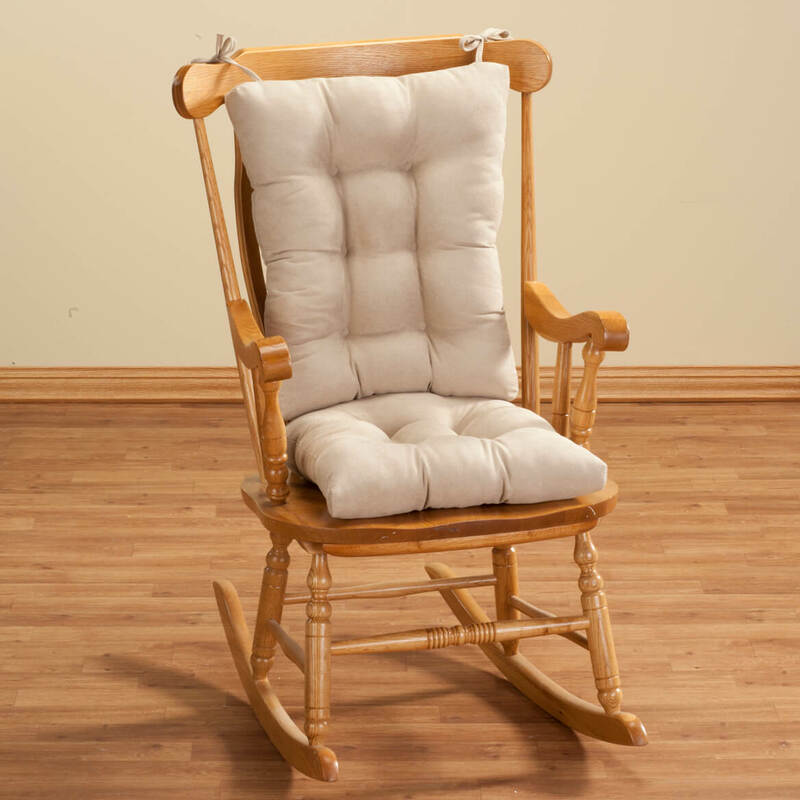 At this time we do not have a easy clean or stain resistant rocking chair cushions. We hope this information will be of help to you.